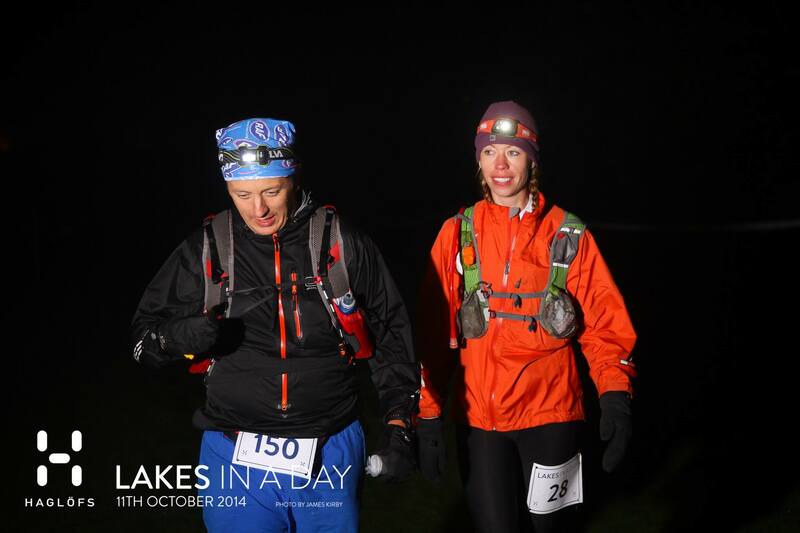 A week after my last Lakeland excursion I headed up to Cartmel for Open Adventure’s Lakes in a Day Ultra. Having seen James Thurlow’s C2C bike course, I expected a scenic but challenging day. I also expected some sadistic surprises worthy of the Marquis himself; I wasn’t disappointed. The bottom line up front, this 48 (or 50+ with nav faff) mile and 4000 metre event was incredibly challenging, and absolutely stunning. As you would expect from Open Adventure and Team Thurlow, it was very well organised and supported (particularly for an inaugural race), and everyone involved seem to be fully read in to every aspect of the race. It is almost entirely self-navigated, with signs leading through a couple of the towns only. Navigational ability IS required, particularly if you’re going to be out after dark or in the cloud (a sped up video of the trackers should provide an entertaining look at how badly some folk went off route). You absolutely should give this race a try, but be prepared; if some of the best runners around are taking 10h30 to cover 50 miles then watch out – it’s going to hurt. After the standard reduced night’s sleep beforehand, we climbed bleary-eyed on to the coach to the start at Caldbeck at the northern border of the Lake District National Park. The route would take us over some of the highest parts of the Lakes, heading over Blencathra (the mountain currently up for sale), the Helvellyn ridge and then along Windermere to the finish in Cartmel, on the southern extremity of the park. An hour of fitful sleep on the coach did a world of good. As 0800 neared, I had a few minutes to catch up with some guys I’d run against in the past, before we headed up on to the Caldbeck Fells. I’d invited Matt, one of my triathlete friends, to enter this as his first ultra – fresh from Ironman Switzerland he was running along pretty comfortably and I started to worry that I’d be chasing him for the rest of the day. As we emerged on to the fell, I could see Alex from Team Lakesmultisport.com at the front of the pack, already over a km ahead. Mid-pack, we trogged up in to the cloud, with last week’s hip problem coming back with a vengeance as soon as we hit anything approaching an incline. Conversely it disappeared on the first gradual descent to be replaced by crippling stomach pains. An awesome start to what would be a very long day. A quick detour via a ditch well off the path and things were back on track. The first steep descent brought us to the fast flowing River Caldew. Open Adventure, ingenious as ever, had come up with a novel way of crossing the river without drowning; an 8-inch wide bridge made from one of their finish gantries. To the waiting photographer’s chagrin and despite my wobbly-legged best efforts, I made it across in one piece. We finished off the last 3km of ‘open route choice’ with a steep and treacherously slippery ascent on to Blencathra. As iffy as the climb had felt, the descent was worse. In the thick fog, a group of 15 or so had dropped off the ridgeline path that drops towards Threlkeld. In addition to the loose rock and shale that was slipping from higher up, the gradient increased until we were scrambling down a waterfall. I gambled on which side of the ridge I’d dropped and stayed high to meet the path, but lost Matt in the process (not to mention shredding the left side of my body, hanging on for dear life in the heather and brambles. As a result I managed an extra 10 minutes stuffing my face in the Threlkeld aid station chatting to the chirpy and mega helpful crew there. Matt appeared and refilled his bottles, then we began the daunting climb on to Clough Head. The 13km climb to the summit of Helvellyn was by far the lowest point of my day, with my hip and knee cramping constantly. With Matt having to wait repeatedly, he started getting cold and by the time we summited we were both pretty miserable. The jog down towards Grisedale Tarn perked me up a little and most of my aches and pains had gone away (apparently it now takes me 20 miles and a bag of jelly babies to warm up). I stretched my legs a little on the climb up Fairfield and, aside from narrowly avoiding being taken out by Dave Macfarlane’s tripod, I had a good climb. Matt however was struggling. Despite us having made the last big ascent, his head was down. Our descent to Ambleside was painfully slow, with groups passing us regularly. The pizza, crisps, coke and Lisa Thurlow fiddling with my tracker at the aid station however improved morale all round. Key though was the chance to change my shoes. Having worn my Speedcross 3s all morning on the fell, I changed in to dry socks and my Hoka Rapa Nuis for the “flat” second half. At 1900, after 11 hours moving, we set off for Cartmel. A fast walk ate in to the 21 miles remaining, with the first stretch waymarked. As soon as the arrows stopped however, the map came out. While far from the most technical navigation was required on this stretch, when you’re bleary eyed and tired, it can be very easy to relax and follow the head torches in front – a dangerous gamble as we proved later on. Although it was in fact several hours of walking through the dark, the 20 miles in to the finish seemed to fly by for me, though less so for others. A 30 minute wait at the last feed station for Matt (who I had accidentally dropped on a cheeky hill about 3 miles back while deep in conversation/stuck in to the map) and we were on the home stretch. After a minor nav faff (I attempted to navigate a maze of trees and scrub using The Force rather than the more traditional compass) and a more major one (following the torches of the guys in front in to a dead end) just 4 km from the finish, we found ourselves on the final 2km road stretch to the giant inflatable finish arch, which was lit up like a Christmas tree. A token jog across the line with Jeanne, my nav partner/recipient of my bad chat for the last 15 miles and we were greeted by Jameses Thurlow and Kirby to dib us in and take a quick photo, 19 and a half hours after starting. Reflecting over a baked potato at 0330, although this was far from a great time, I hadn’t set out with a time goal in mind beyond my usual “less than double the winner’s time” (succeeded). With a hard 16-hour 50 miler a week ago, and some epic mountains and nav, it was never going to be fast. Completing alongside Matt was the main objective, and although he had a hellish day, I thoroughly enjoyed mine – a feeling that doesn’t normally emerge until at least a couple of days later. As is now expected from OA, the day was run superbly, with a smile (and a lot of food). Next year’s event will be in my diary as soon as it opens, though I’m dreading the inevitable step up from the Lakes…I’ve no doubt the sadist Thurlow has something planned.